Pure Planet Premium cracked-cell chlorella is cultivated in a controlled outdoor environment in ponds filled with mineral-rich water. 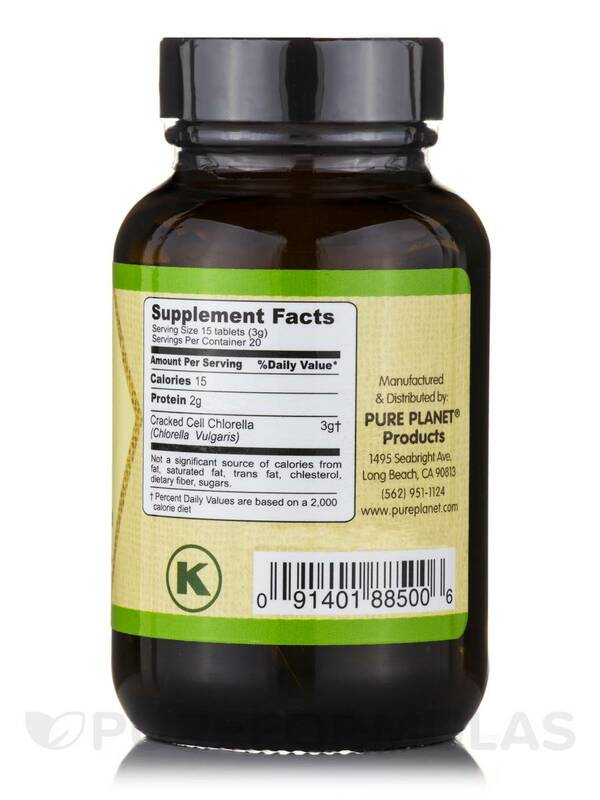 Pure Planet easily-digestible tablets and powder are a great addition to any detoxification regimen. - Can help break down heavy metals. 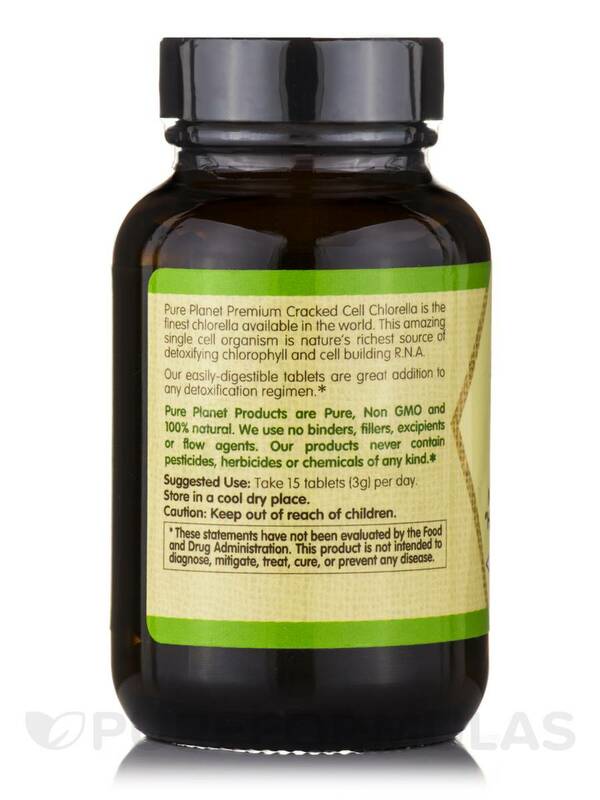 - May support natural detoxification. 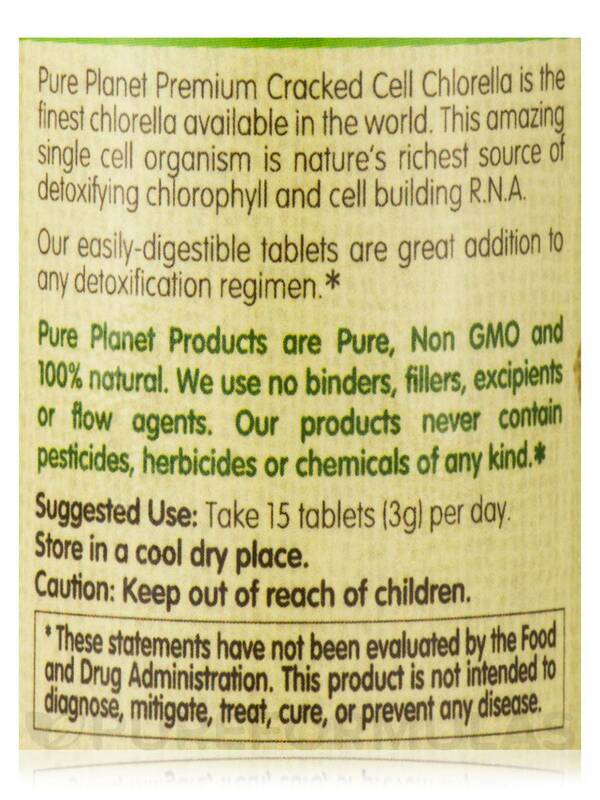 - Is nature’s richest whole-food source of chlorophyll. - May help decrease plaque buildup in arteries. 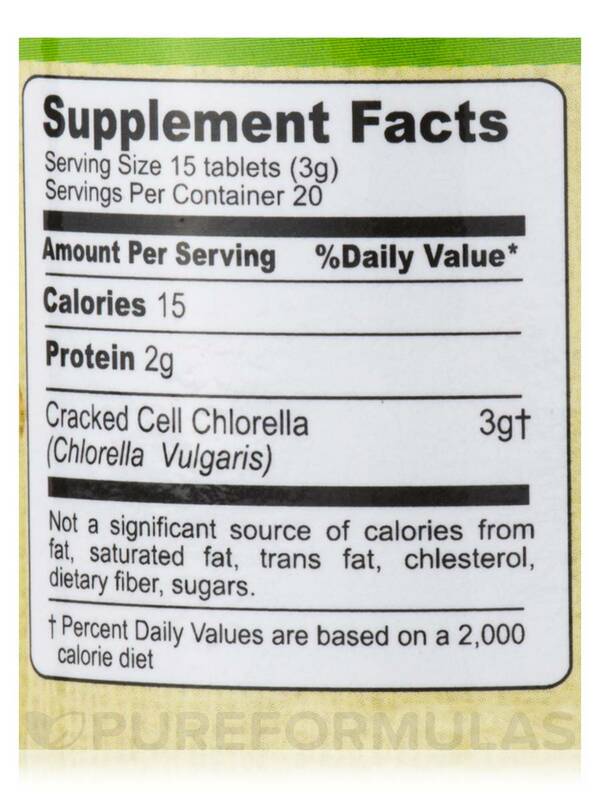 - May support healthy cholesterol levels. Not a significant source of calories from fat‚ saturated fat‚ trans fat‚ cholesterol‚ dietary fiber‚ sugars. Take 15 tablets (3 grams) per day.